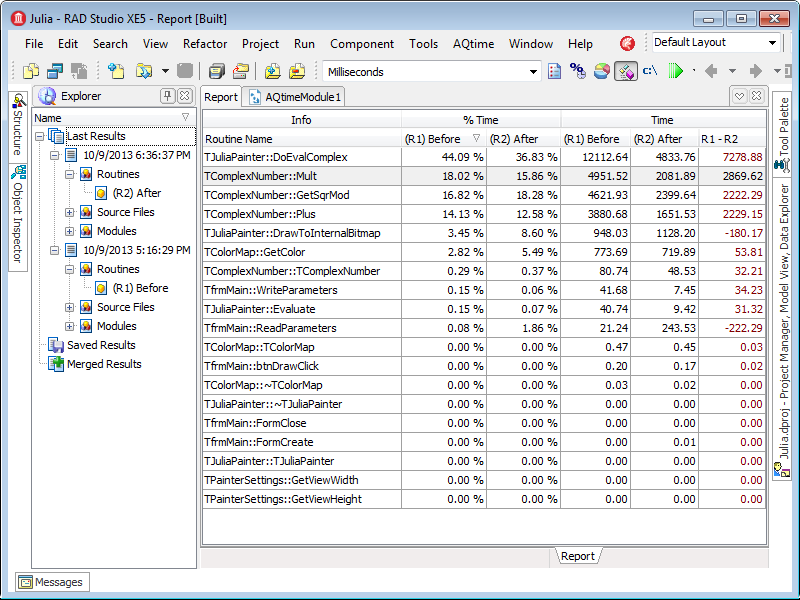 AQTime Pro’s intuitive reporting helps developers drill down deep and find the root cause of their code bugs fast. Summary panel summarizes key information from profiling run including time of the run, information about operating system, CPU, memory and top ten sections of code to be optimized. The Report panel shows results for a selected thread. 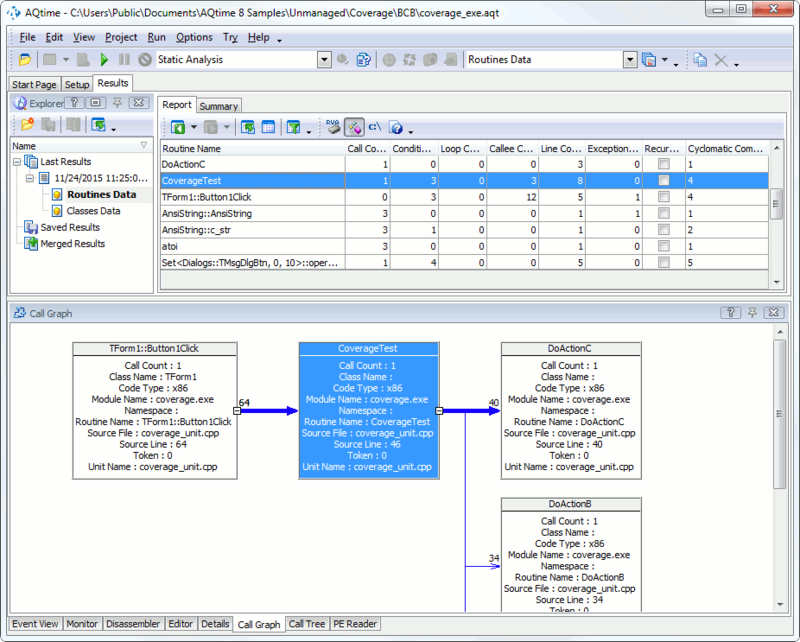 It consists of a table with rows corresponds to a routine, line, class, module, or object profiled and draws from Details, Call Graph, and Call Tree Panels. 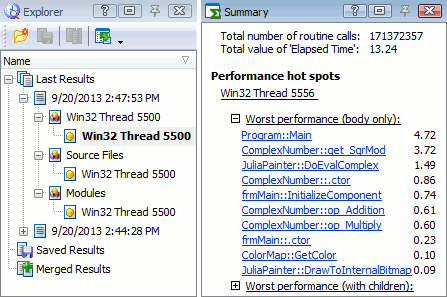 The Details panel displays additional results based on the particular type of profiler that is run. This panel provides in depth information on particular lines of code. The Call Tree panel gives deeper insights into a specific selected function calls. It shows parents functions which are all the routines that call the specific function and children functions which are all the routines selected by the function. 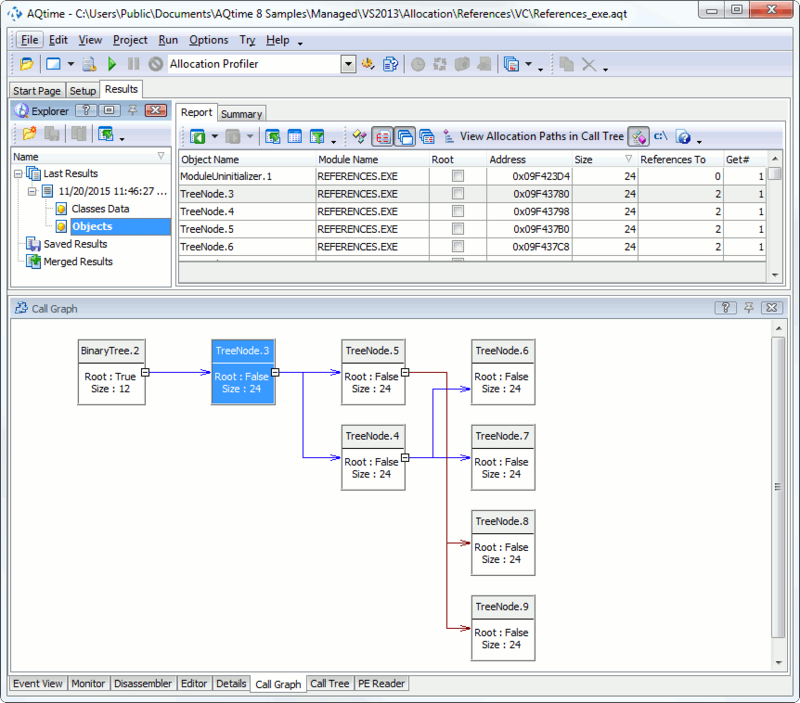 The Call Graph panel displays the hierarchy of potential function calls in a convenient, visual format. It highlights the critical path of the application and the bottlenecks that exist. You can create a routine-level profiling area and add specific routines to the area to be profiled. AQTime Pro can trace how many times the routines were called, how long they worked, etc. Routinelevel stack areas specify what routines should be included into call stacks. Line Level Areas of the line level can also be profiling and stack. 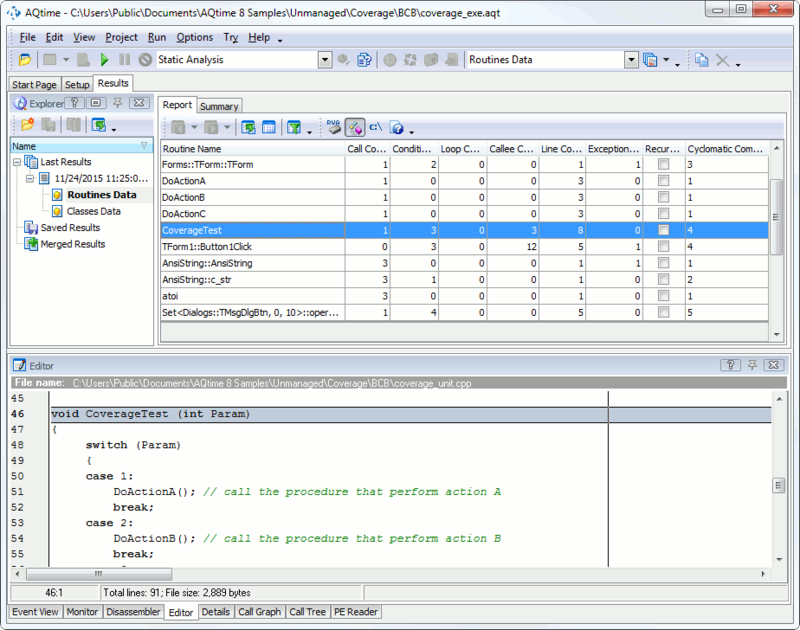 If you create a line-level profiling area, AQTime Pro gathers information for each line of the source code within routines that were added to the area. 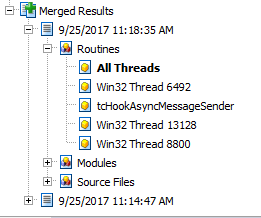 Using the comparison feature you can easily see the difference between a profiled procedure before and after it is optimized to see the difference. Merge results so that you can focus on important statistics collected during several profiling sessions. Numeric values of the combined sets are calculated as a sum or as the average, maximum or minimum value of the appropriate values of the merged result sets. 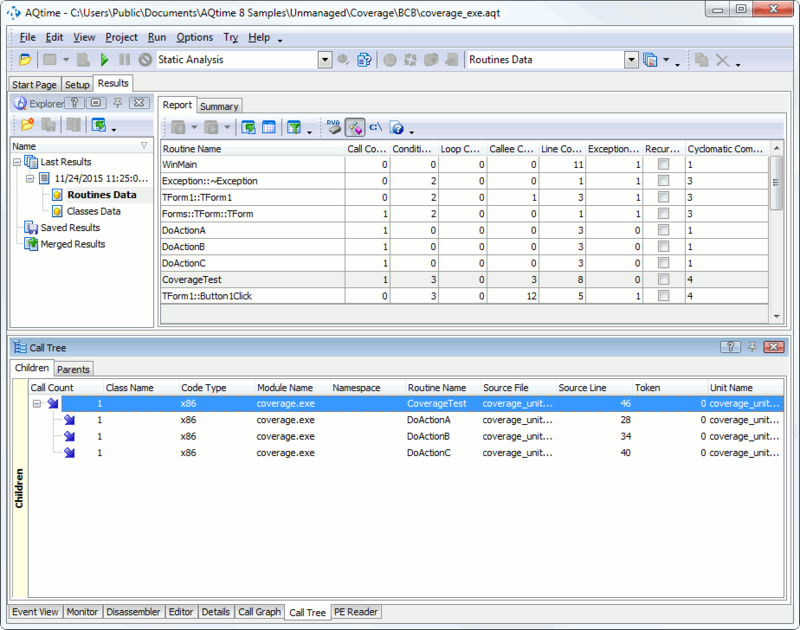 You can also sort profiling data using various metrics such as time, allocated memory or code coverage percentage. 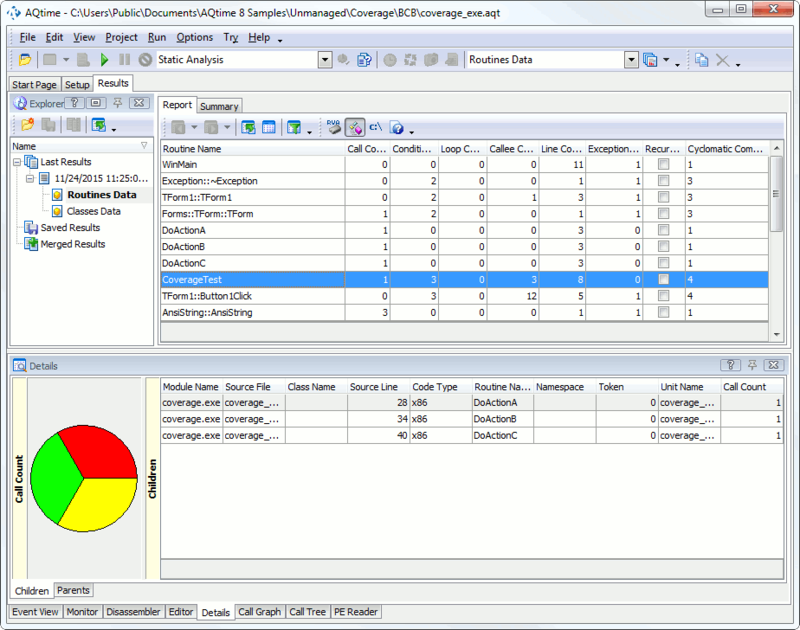 The output of a profiler can be displayed in a pre -selected form by defining filters. A filter defines conditions that records (report lines) must meet in order to be displayed in the Report panel.